THE SEA GOD SETTLED DOWN IN CETARA (AND MAKES COLATURA) - Cook_inc. 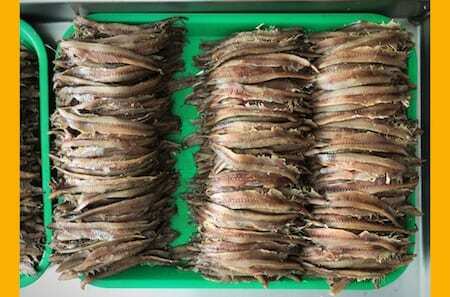 The first information is a quantitative one: to make a liter of colatura you need about 1,650 anchovies. As I observe the sober 100 ml glass bottle, I picture 165 small fishes piled next to the laptop and I gasp. The second information is an aesthetic one: inside the vault where the product ages, one of the most vigorous and enigmatic whiffs overwhelmed my sense of smell like nothing has ever done before, disorienting and captivating it. Today, I attempt to decrypt it: it is the scent of a deep sea, salty and rocky, harnessed inside antique wooden casks. The corona will be first copiously covered with salt, then capped by the tombagno – a wooden disk with smaller diameter than the barrel’s opening – on top of which “river stones taken from the sea” will rest, smooth and heavy, gathered by the grandfathers and washed only once in freshwater before touching forever and exclusively saltwater. 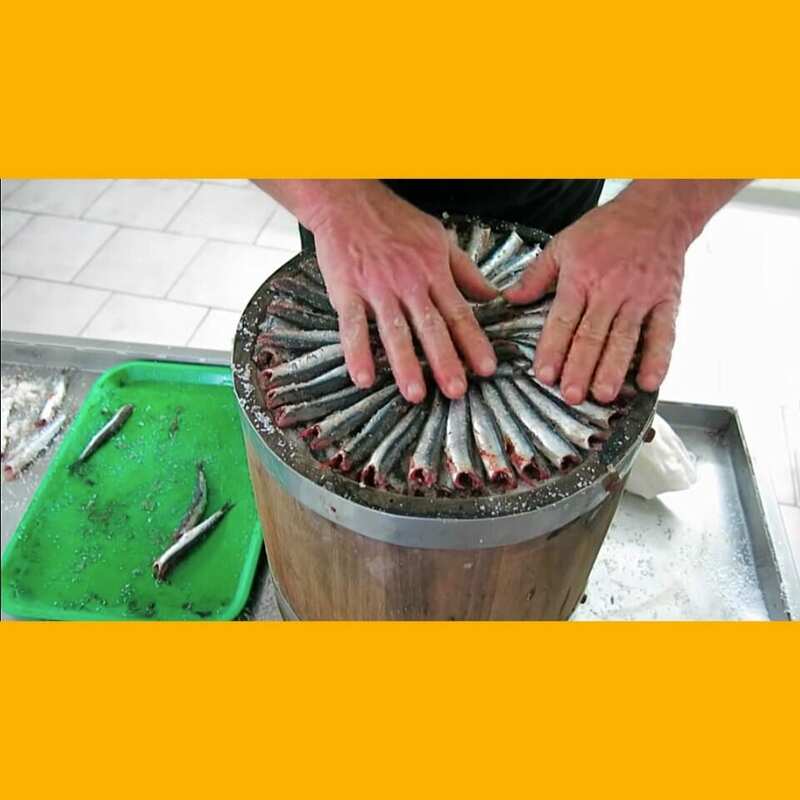 Roughly 25 kilograms of fish lie inside each terzigno. 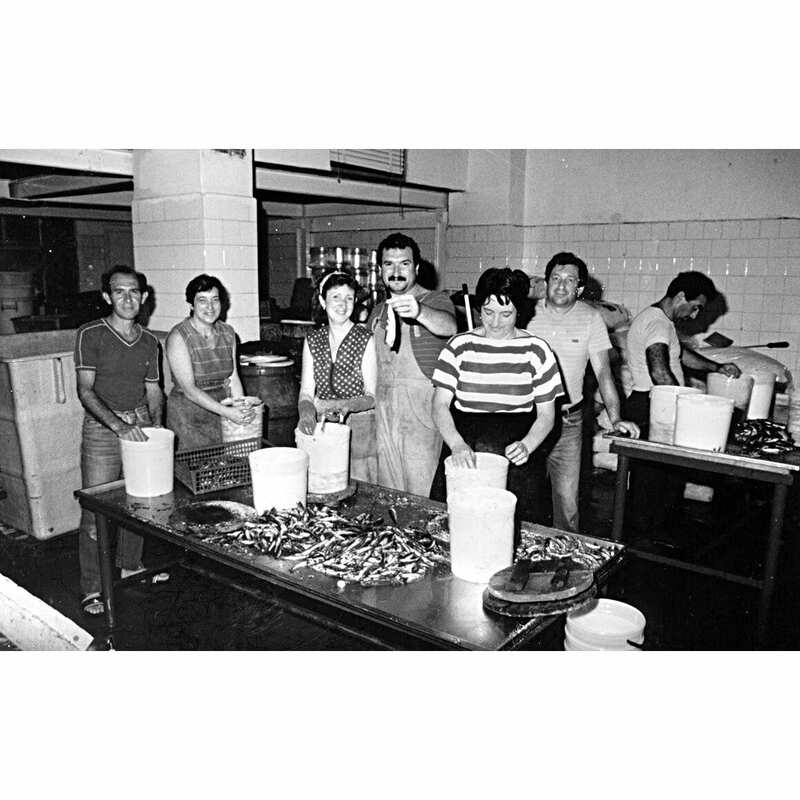 Seasons become accomplices to the rest of the production process: salting in Summer, with its generous temperatures, triggers the fermentation of the anchovies that, mashed by the stones’ weight and by the salt’s action, slowly release an amber liquid to the surface, leaving their solid component on the bottom. Months pass and the liquid grows, gradually browning. Giulio allows me to snoop into the 70-year-old terzigni, while pointing out the different stages of maturation of what cannot, yet, be defined as colatura. At least two more Springs have to pass before the liquid retraces its path: poking the bottom of the barrel with a corkscrew key (vriale) will promote the descent of the fluid through the layers of fish and salt, further flavoring it and finally filtering it. Drop after drop, colatura is collected.To close the circle, what remains of the fish, now plundered of its essences, goes back to the sea to become feed in aquacultures. It is impossible at this point to ignore the connection to the Roman garum so dear to Apicius. Sure, but if you let Giulio tell the history of this incredibly versatile flavor infusion, he would trace it back to the second half of the XIII century. 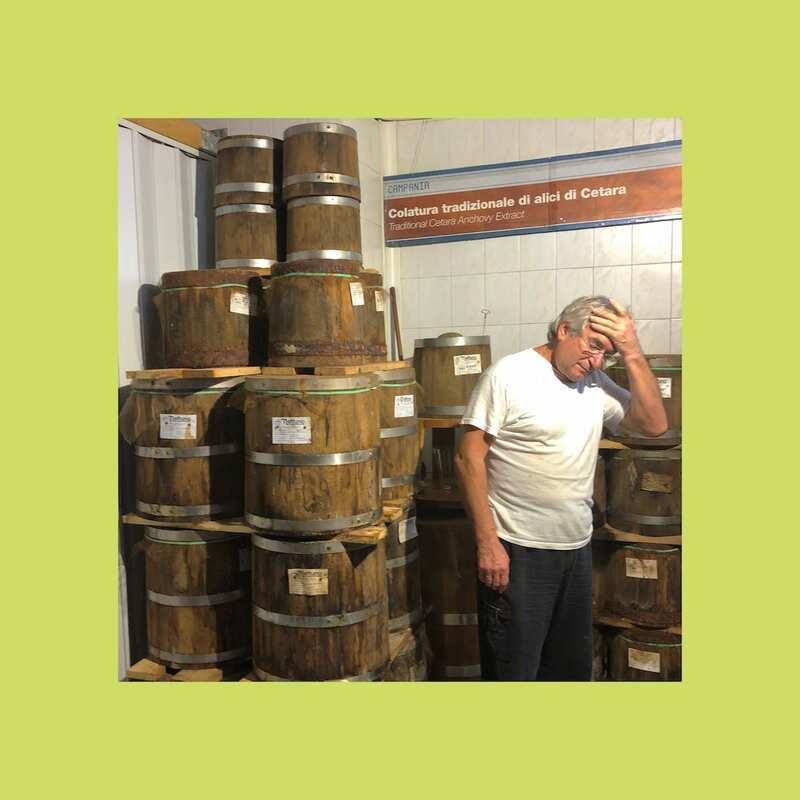 It is thanks to the proverbial and accidental monastic luck in food preservation that colatura, originally the by-product of fish stored in forgotten salt-filled barrells, was born. 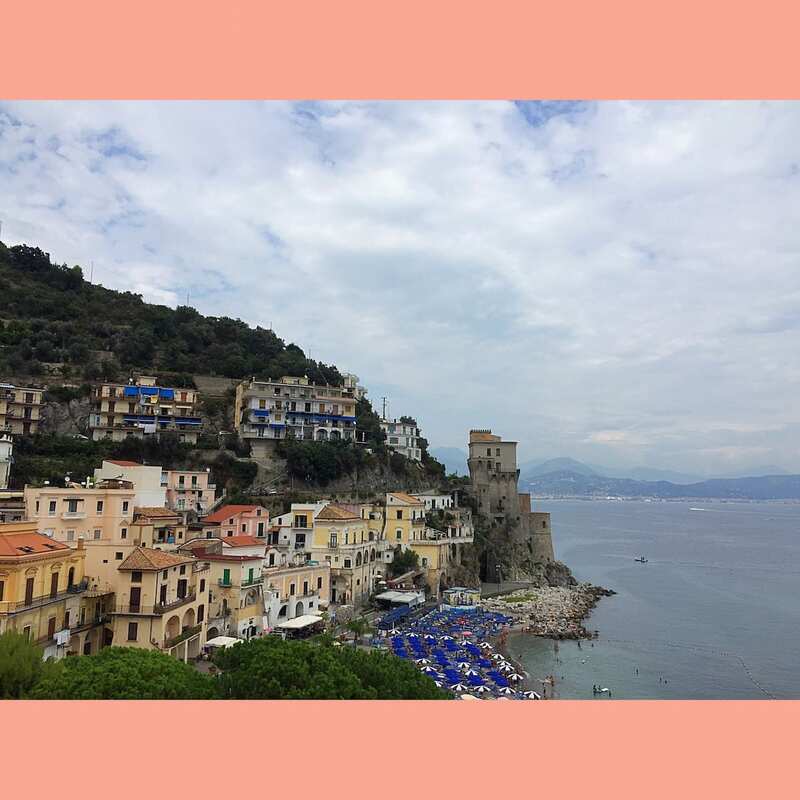 And we, gratefully, thank both the absentmindedness of the Cistercian monks of the Amalfi hills and those devote fishermen who, homaging the clerics, begat a food surplus in the monasteries’ pantries which was crucial to light the fuse of their creative techniques. 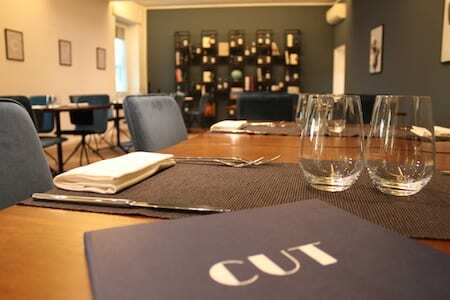 Speaking of versatility, if I were to hazard a comparison, I would relate the colatura to monosodic glutamate, yet without the Chinese Restaurant Syndrome’s psychosis lurking. Umami, iodiny. 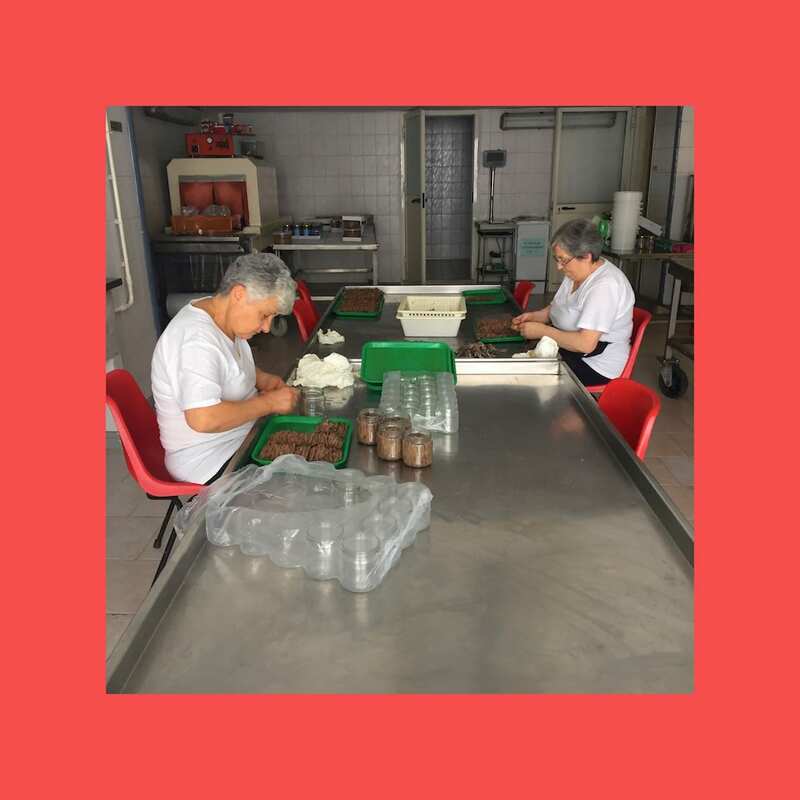 To be used in deliciously simple recipes such as spaghetti – but the Gragnano ones, and rehydrated in unsalted water – with EVOO, garlic and parsley, or steamed vegetables (Giulio suggests potatoes and aromatic herbs), or even on fish itself. Something bolder? O’ sang ‘e Maria, the Cetarese version of a Bloody Mary created by chef Pasquale Torrente from Il Convento, where colatura replaces salt, would be an emblematic example. Here are some tips that you will not find on the label: how to better preserve it, for example. Giulio docet, rule #1: outside the fridge. And don’t turn up your nose if within some weeks the colatura will brown, turning to a mahogany shade. It’s the oxidation process that – how lucky – not only doesn’t spoil the product, but enriches its flavour with further depht and longevity of taste . Once it’s opened, you can throw away the supplied cap: an unpeeled garlic clove or an oregano sprig will work even better. Herein I didn’t say everything: for instance how Giulio is a natural born communicator, how dedicated he is to his work, or how infectiuos his humor is. 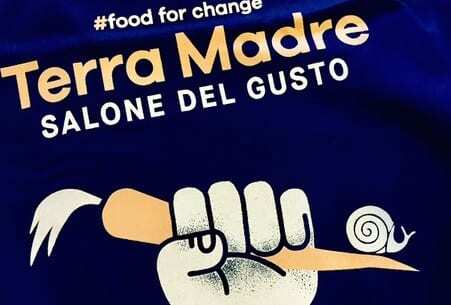 But I can say this: from the 20th to the 24th of September you will find him in Turin for the Salone del Gusto.If I were you, I would drop in.